Specialist Sundaresan Sajikumar trained at the Swarga Ayurvedic Centre. He has 11 years of experience, from January 1999 to March 2010, practicing all types of Ayurvedic massage and Ayurvedic procedures (including the rare techniques of Kalari massage). Specialist Ragil Raj studied at Varier's Arya Vaidya Sala. He worked from January 2007 to April 2011, practicing all types of Ayurvedic massage and Ayurvedic procedures in one of Kerala's well-known clinics. Ayurvedic therapist Bibin Ramesan studied Panchakarma at Dr. Franklin’s Ayurvedic Institute and Scientific Research Center. 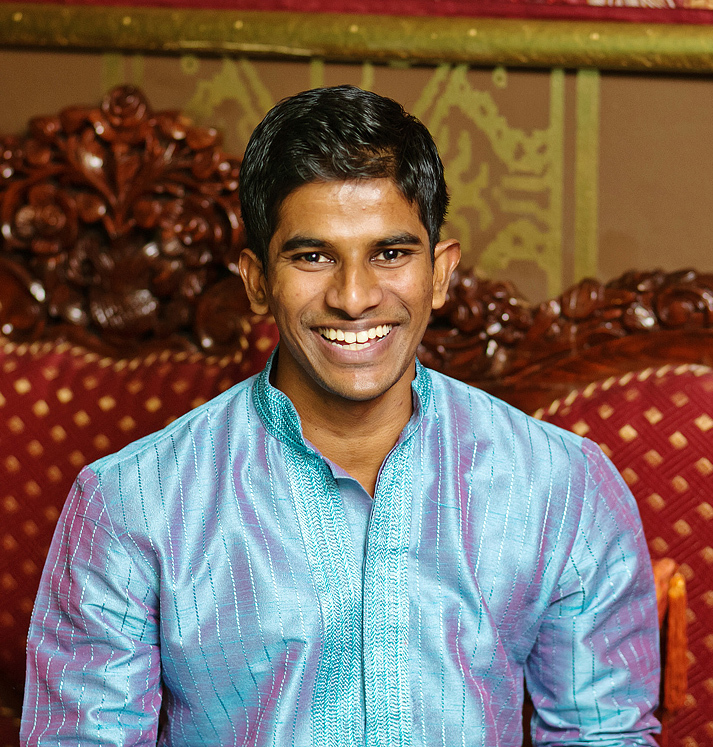 He has more than six years of work experience in Panchakarma at Dr. Franklin’s Ayurvedic Institute, and practices all forms of Ayurvedic massage and procedures. In addition, he is a teacher of yoga.